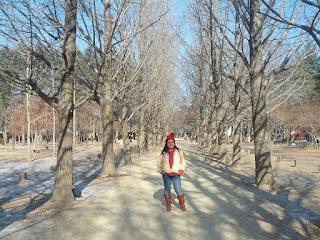 Nami Island was one of the best attractions I’ve been to in Korea last January. It is a popular tourist destination with almost 3 million tourists visiting the island annually in the recent years. It was still winter in Seoul that time. Coming from a country which experiences summer practically all year round, boy, was it freezing cold!! Brrrr to the max! 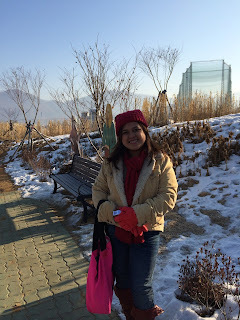 It was my first time to experience up to negative 5 degrees temperature. 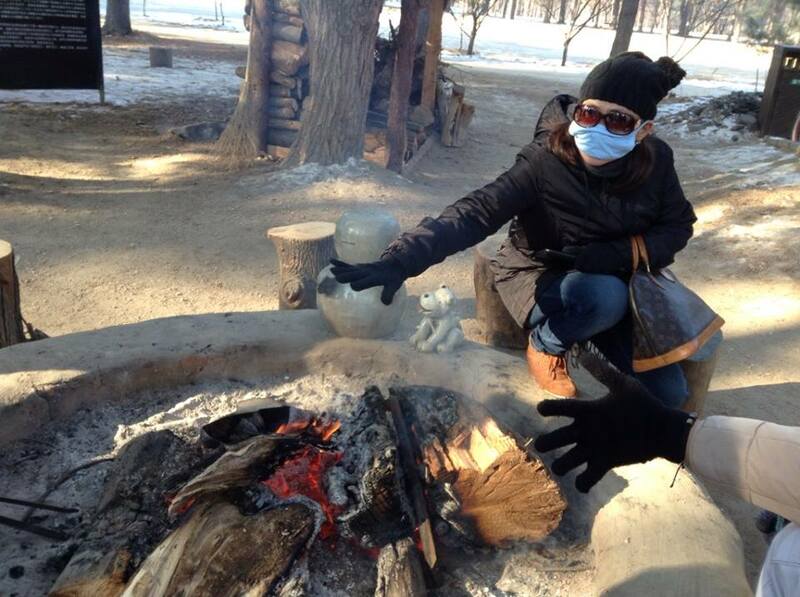 When we were in Nami Island, it was even MUCH COLDER. Forget your idea of a tropical sunny beach experience. 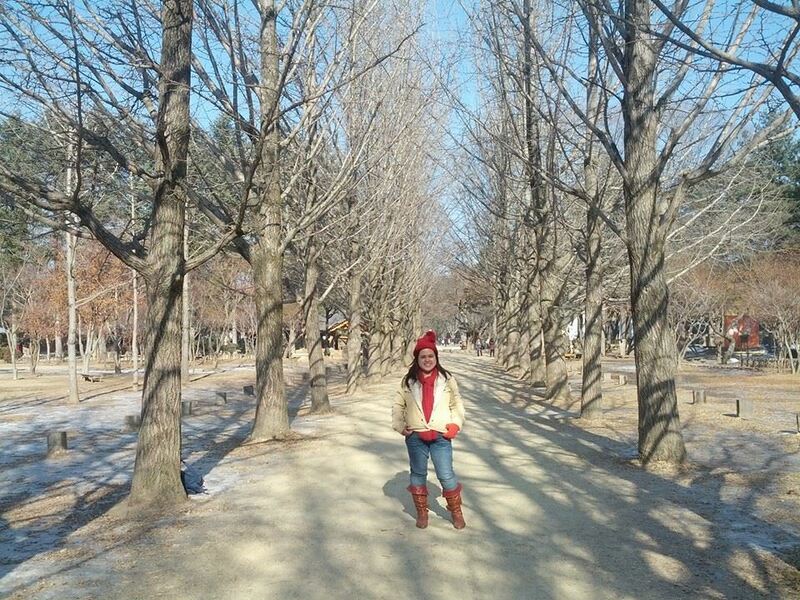 A Nami Island experience is not one of those. 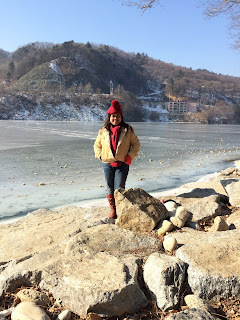 Nami is also called Naminara Republic or Namiseom, it is a little half-moon shaped island in Chuncheon, South Korea. Our group got there by train starting at Sangbong station using the Gyeongchun Line and arrived at the Gapyeong station after about an hour of travel. At this time of the year, snow is no longer visible in downtown Seoul so you could just imagine our happy faces when we had our first sight of snow (FIRST in our lifetime!) along the streets of Gapyeong. Of course, we stopped for a few minutes of ‘selfies' and 'groufies' before anything else. 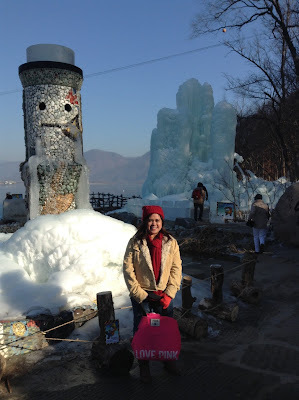 From Gapyeong station, we took a taxi for a 10-15 minute ride that would bring us to the ferry Station. The taxi fare was roughly Php 150 but since there were 3 of us, it was just 50 pesos per person which is almost same a bus ride would cost . 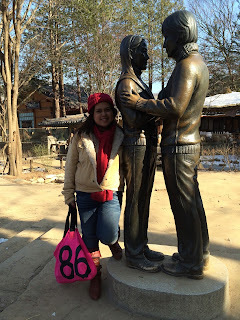 Another thing that I love about Nami Island is the beautiful very relaxing ambiance. Even though it was winter and snow was all over the place, plus the presence of a lot of tourists, I felt right at home the moment I stepped into what seemed like another world for me. There were tall trees neatly lined up in a portion of the island that is very popular for pictorials especially during spring or autumn. I was able to get a decent photo of it, though, lols. For nature lovers, you'd be happy to see ostriches, rabbits, squirrels, chipmunks, ducks, and peacocks in the midst of flowers and trees. I got a happy-kid moment when I saw a squirrel running around, whoa! Another first! You just need to be used to a lot of walking to enjoy everything the island offers. A comfy pair of sturdy shoes is a must! For the winter season, remember these 2 words I have for you: BUNDLE UP! I had 2 layers of socks in my leather boots but my feet still felt numb after a few hours of going around. Good thing there are several open fireplaces to warm up us all throughout our day tour. On one side of the island is a wide lake. Since it was winter, it looked more like a giant skating rink to me. 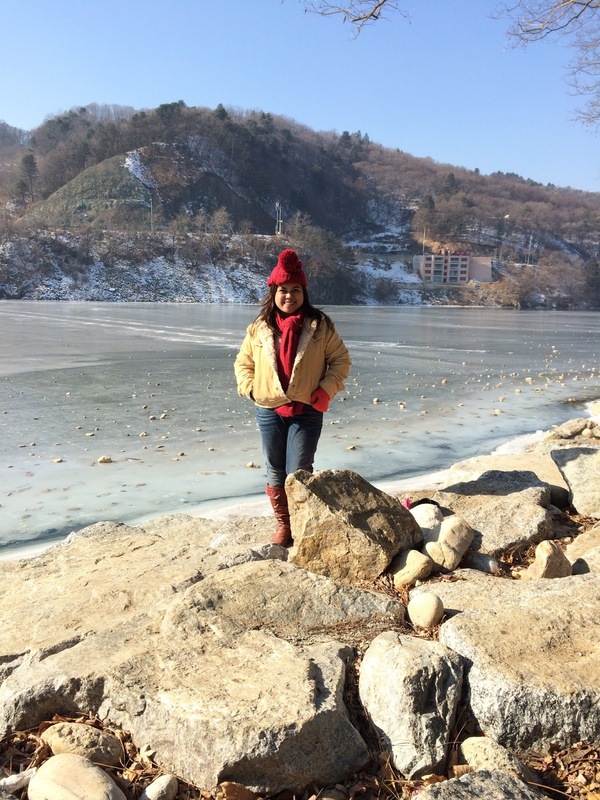 Again, it was my first time to see a frozen lake. 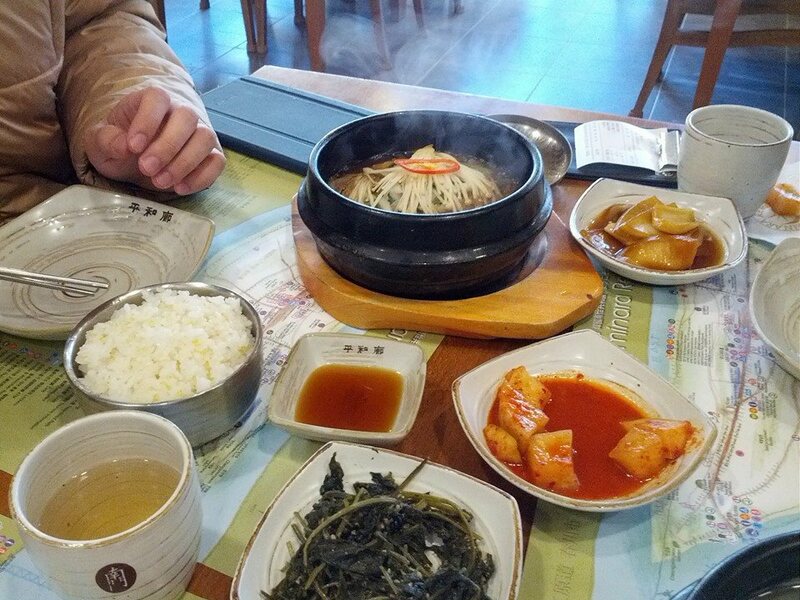 You will never go hungry in Nami Island because there are several kiosks and restaurants within the area. Bean cakes, barbeque, and many more. We had lunch in a cozy restaurant called Nammoon. It is Nami Island's premier restaurant which serves sumptuous Korean cuisine filling our tummies for the other half of tour. For pasalubongs (souvenir gifts), there are plenty of souvenir gift shops scattered around the island. You can choose the souvenirs of your liking. The place is relatively big. It is about 430,000 square meters. You can spend a whole day enjoying the attractions with friends and loved ones. 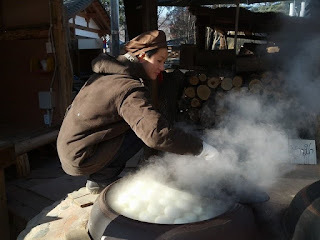 As for me, I am aiming to save up so I can come back and bring my family hopefully for autumn next year. I want hiihihi :) Where to next Mommy Anna? There really are a lot of things to see and do. I think I will enjoy the strolls and the food the most! Wonderful, you do have a great memorable visit in Korea..a nice place to see and to learn about their culture.